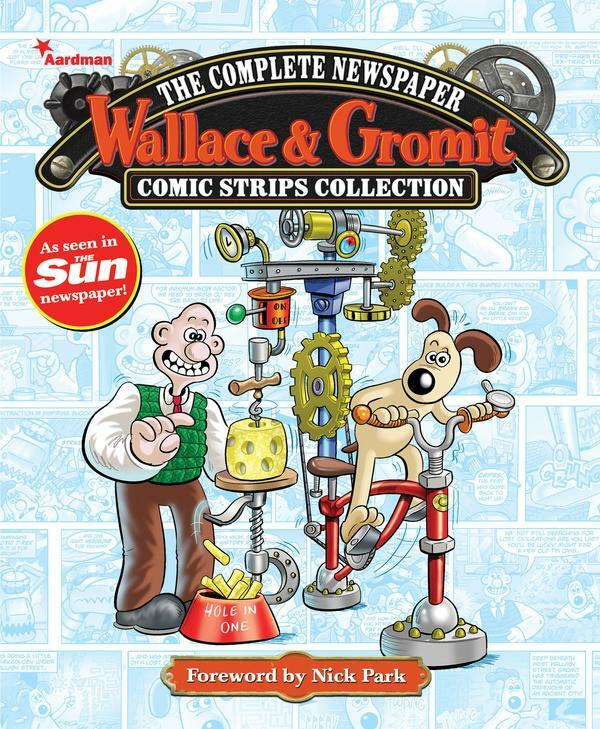 Unless you live in the UK, you might not be aware that the multi-award-winning Wallace and Gromit animation series has been adapted into a full-colour weekly comic strip. Well it has, and now the folks at Titan Comics have collected the strip series (so far) into a new hardcover book coming out this October. “The strip, which appears daily in The Sun, the UK’s most popular daily newspaper, is read by an audience of 2.3 million readers. The full-colour strip features a self-contained, weekly-continuity that sees our plucky, bald inventor race from one hair-brained invention to the next with gusto, extreme silliness and more puns than you can shake a stick at!” Check out Wallace and Gromit: The Complete Newspaper Comic Strip Collection, Volume 1 at Amazon. The strip features stories from a gaggle of writers, all of it illustrated by Jimmy Hansen and Mychailo Kazybird. The Sun is our most popular daily newspaper!? I apologise on behalf of my country. It has the largest daily circulation, yes. Look on the bright side: that popularity helped to fund an anthropomorphic comic. It was also the answer to today's Final Jeopardy question. Or question to today's Final Jeopardy answer. Jeopardy still does that. I have never seen Jeopardy, though I'm roughly aware of the format. Now there's a cultural divide!